Rosco had several new products on the floor including their Image Spot, X-Effects LED Projector, Opti-Sculpt and their newest item which was only available as a preview prior to launch, the Pica Zoom Lens. Using a mere 45W of power, the Image Spot LED projector packs an amazing amount of light output from a versatile and compact design. The cool white LEDs and crystal clear optics ensure bright imaging in virtually any environment, and enable vivid gobo projection up to 40 feet (12m) away! Image Spot can also be used to create spot illumination for artwork in museums, accent lighting in hospitality venues or highlight products inside retail displays. Image Spot is available in both IP40 and IP65 models, allowing it to be used indoors or outdoors. Please note that Image Spot does not ship with a lens. Choose from the available narrow, medium and wide lens accessories when ordering to achieve the imaging or beam spread your project requires. 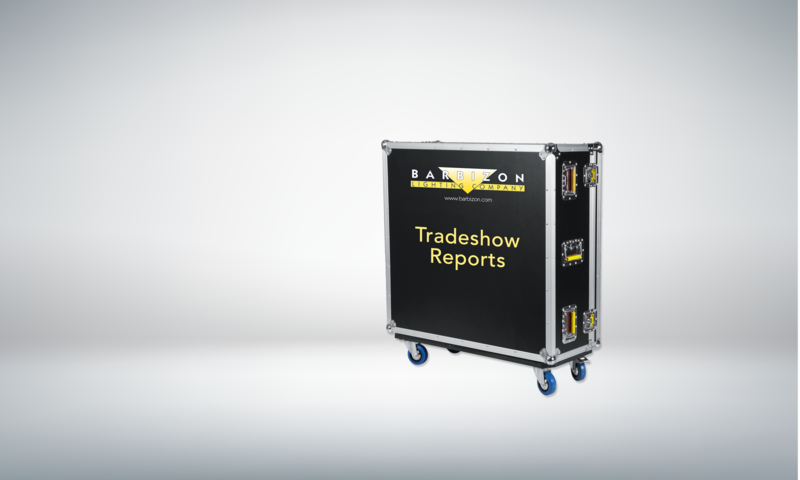 The X-Effects LED Projector is available in two models that project bright, vibrant lighting effects – a cool white, 5500K unit and a color-mixing RGBW unit. Both models feature bright output, are capable of 33’ (10m) throws, and feature four lens accessories to choose from – enabling designers the ability to adjust the fixture’s beam-spread to their project. Just like the X24, the standard X-Effects Glass that ships with the fixture can be swapped out to create other lighting effects. Another new feature of the X-Effects LED Projector is its IP65 rating, which means its effects can be projected wherever they’re needed – indoors and outdoors. 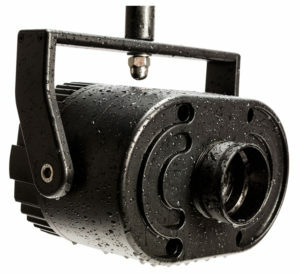 The X-Effects LED Projector is fully dimmable and features both onboard controls and RDM-compatible DMX controls. Three knobs provide manual control of the dimming and speed/direction of the two pieces of X-Effects Glass inside the fixture. The fixture’s DMX and RDM capabilities not only control dimming & speed/direction, it also provides remote addressing of the fixture plus color control of the RGBW fixture. OPTI-SCULPT was also being shown at their booth. Based on preliminary data provide by Rosco the OPTI-SCULPT Filters provide precise angular beam control – enabling lighting professionals to accurately and affordably control the shape of their light. 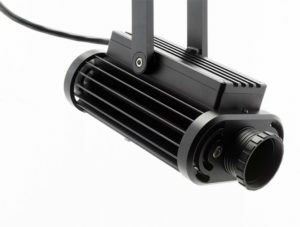 Rosco’s unique, proprietary process offers increased brightness with engineered light distribution that has been laboratory tested for accuracy and repeatability. OPTI-SCULPT Filters are available in 12 different patterns: five symmetrical designs, including a unique reversible 40/60 degree pattern and seven rectilinear, asymmetrical designs. The filters are manufactured using flame retardant, 10mil thick, semi-rigid polycarbonate and are available in 20”x24” and 40”x24” seamless sheets that can be cut to any size and shape to fit any light fixture. Designed for LED but suitable for use on LED and conventional fixtures, OPTI-SCULPT has high transmission vs standard diffusion materials. Rosco also had their new Zoom Lens for viewing on the show floor. 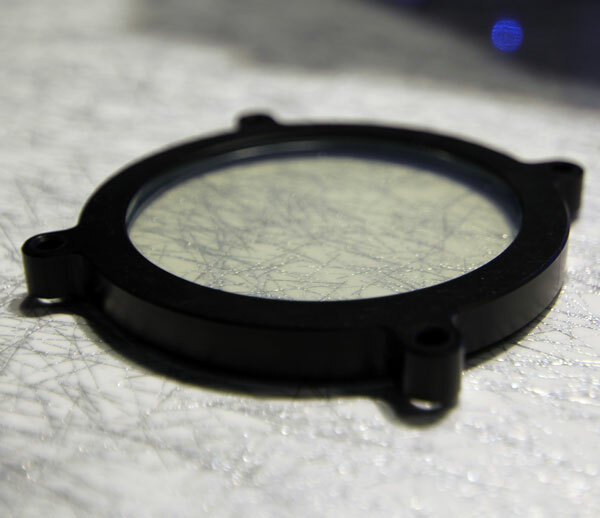 While they did not have any preliminary data sheets available on this product, the basis of the Zoom Lens was to provide beam spreading for their Pica fixtures by the application of an electric current which would then alter the level of diffusion in the lens. We’ll make sure to keep our eyes open for more on the product from Rosco hopefully coming soon!